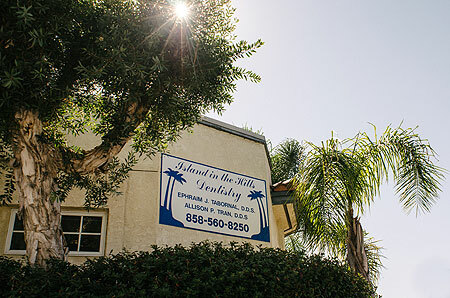 Contact | Ephraim Tabornal DDS, Allison Tran DDS, Island in the Hills Dentistry, Inc.
We accept most traditional dental insurances. Please call and we can verify your insurance benefits. Our office is located in Tierrasanta just off Interstate 15 in central San Diego, easily accessible from all parts of San Diego. We are located in the corner of La Cuenta Drive and Baroque Lane, next to the community library and firestation.